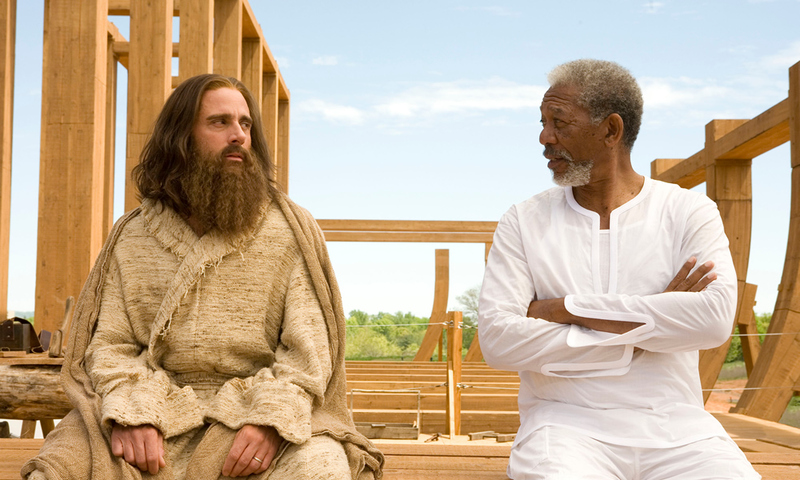 Evan Almighty’s a pretty forgettable film but there was a poignant moment at the end. Without explanation God appears to Evan and is told to build an ark, in essence becoming Noah incarnate. He resists, runs away, denies it, fights the command and generally makes it incredibly hard for himself, but he’s eventually worn down and goes along with it. It’s only right at the end, in hindsight that the explanation becomes clear, and had he known what he knew at the end, I can’t help but think he would have chosen to make the journey far smoother for himself. God: Yes, but you did it. Evan: So, you had nothing to do with the flood? Like where the ark landed exactly? I’m exactly the same. I fight God. I fight the circumstances he beckons me to walk through that I don’t understand. I throw regular tantrums along with the hand he’s dealt me back in his face. I tell Him he’s wrong; that he doesn’t know what he’s doing. I tell him I know best. Deep down though I know I don’t. He knows best and I know it. He knows everything. The whole lot. Every detail. Nothing’s a mystery to God. He’s never surprised… and with hindsight, anything He calls us to do or asks of us will be justified and shown to be good, or at least to carry some sort of purpose or redemption. Rarely does he oppress his will upon us harshly. Often he coaxes us gently. We kick and scream but He never loses patience. He knows how slow we are to learn and that our learning to trust him will be messy. I think we expect ourselves to cope far better than he ever does; when we struggle to accept what he’s doing in our lives he just loves us. Was clearing out a box of old games a while ago. 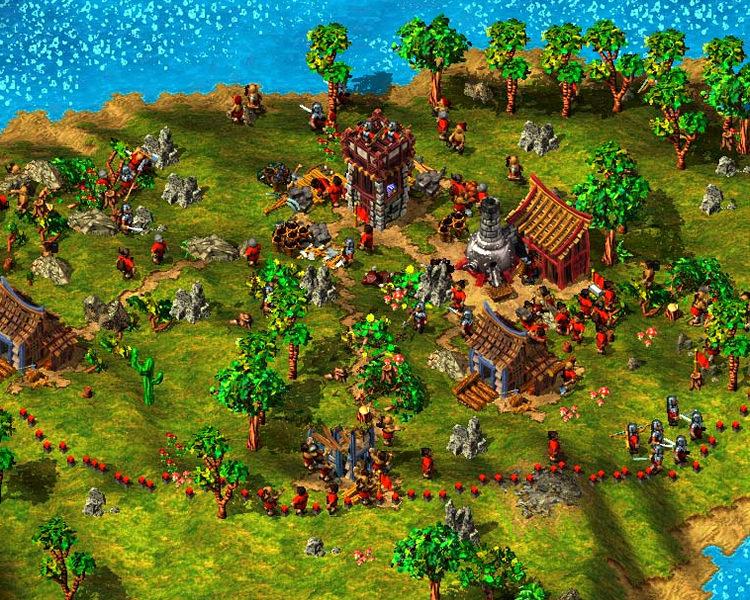 Settlers 3 was a classic. You basically assume the role of God, create tiny people (called settlers), assign them various roles, and then watch them gather, mine, fish, grow, and carry a colony into existence. It gave me a faint glimpse into how God might possibly see us within the context of creation. Despite my settlers being nothing but combinations of coloured pixels, I found myself getting weirdly attached to these little guys. I wanted their good and to see them flourish. Pathetic I know, but, if that’s how I can feel about pixels, imagine how much more God must delight in me. My settlers have no life. They don’t feel. They’ve no personalities. No ability to chose or reason or think for themselves. They can’t speak or relate to me personally, they simply follow a set of pre-determined behaviours developed by a programmer. We can do all those things though and are infinitely more complex, so how much more must God think of and feel for us? Are not two sparrows sold for a penny? Yet not one of them will fall to the ground outside your Father’s care. And even the very hairs of your head are all numbered. So don’t be afraid; you are worth more than many sparrows. Sometimes a human life can seem no more meaningful than a fish flopping on a shore. Writhing. Out of its element. And I would love to tell you that the real problem in life is we believe we are writhing when we aren’t, but that’s not true. My spirituality, that is Christian spirituality, doesn’t tell me to close my eyes and pretend life is beautiful and there are no problems to confront. I’m told, instead, I am out of water, and if I want to find water again, I must go in search of a different kind of water. All of us have been washed on the shore. We all have issues, we are all broken. The brokenness we experience, the brokenness that mingles in our DNA, is a kind of fallout from the fall of man. Men and women were made to be in relationship with God, but because of the fall of man, we aren’t. The Scripture that states if an earthly father knows how provide for his children, how much more God knows how to provide for his speaks volumes in its antithesis, too: if an earthly father abandons his children and wrecks their lives. how much more would an abandonment from God destroy a human? As I look at humanity, I can only describe the human personality as designed for a relationship with something from which it has been separated. I hear it in conversations, read it in books, listen to it in music, interpret it through psychology, and so on and so on. The idea of this separation has come to feel obvious to me. God did not leave because he wanted to; he left because he had to. His nature defines good, and people wanted something he didn’t want. He separated himself from us but he didn’t abandon us. Found this lying around from Simon and Joy’s wedding invites. There was plenty of suffering for us to get through. Therefore, it was necessary to face up to the full amount of suffering, trying to keep moments of weakness and furtive tears to a minimum. But there was no need to be ashamed of tears, for tears bore witness that a man had the greatest of courage, the courage to suffer. Only very few realised that. The concept of it requiring courage to suffer’s an interesting one. Guess without fear there can be no courage; with courage being found in the face of fear as opposed to the denial of it, demanding an engagement with weakness as opposed to running from it. To live is to suffer, and suffering hurts. Pain and discomfort are guaranteed to make life messy, but through the embrace and expression of them it seems we claim a greater dignity and strength; that of being human and knowing ourselves to be alive. Real men (and women) suffer and cry it seems (or at least aren’t afraid to). What might I really believe? At the most basic level I believe I exist. I believe that there’s something greater than me, that made me, and created a vague sense of order and creativity in all I see around me. I believe he is good and I call him God. I believe he is incomprehensible. In me are desires. Wants. A seeking of pleasure and security. Comfort. Connection and relationship with others. I believe I feel more complete when I live a life of generosity; when I live for the good of others. Sacrificially. In pursuit of their joy. I believe that seeking my own ends will make me miserable and ultimately prove meaningless. 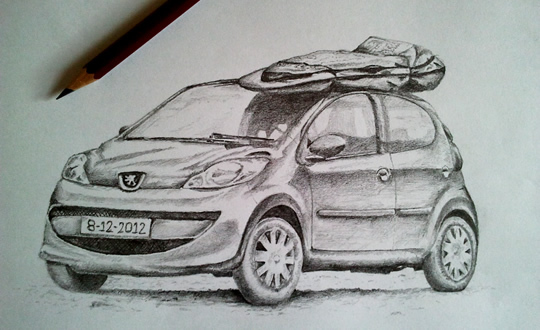 My belief is stubbornly “to whom else can I go” [in respect to Jesus]. I see no alternative. I feel no alternative. I want no alternative. Even if I decided God to be mere imagination, I would still choose sacrifice. It brings joy. And joy lasts. Pleasures don’t. They come and go, rise and fall, but always fade. They don’t last. They always have a low-hanging ceiling, that seeking to break through will either kill you or at least dehumanise you. If I get to the end of my life and it turns out God doesn’t exist, that Heaven was an illusion of my mind, what have I lost? Has the world not been a better place for my living as if he did? I believe in goodness. And love. In beauty. In gentleness, kindness and mercy. In respect, honour, dignity, light. I believe in work and development. In growing, in cultivation of all things good. I believe in rest, in relaxation, in appreciation. I believe in solitude and crowds. Retreat and participation I believe in spending myself for the sake of others, that the greatest beauty is displayed in the most costly sacrifices. I believe I will live forever, but don’t know where for sure until I get there. I’m not afraid of death, i’m curious, i’d just rather not have to die. It doesn’t look nice, even if it’s passing is natural. I believe that one day i’ll understand everything, that i’ll see Jesus’ face as he welcomes me Home. I’ll probably add to them at some point. God loves for us is amazing. “My love is over. It’s underneath. It’s inside. It’s in between. The times you doubt Me, when you can’t feel. The times that you mend. The times that you hate Me, and the times that you bend. Well, My love is over, it’s underneath. It’s inside, it’s in between. These times you’re healing, and when your heart breaks. The times that you feel like you’re falling from grace. The times that you heal. The times you go hungry, and are tempted to steal. The times of confusion, in chaos and pain. I’m there in your sorrow, under the weight of your shame. I’m there through your heartache. I’m there in the storm. My love I will keep you, by My pow’r alone. I don’t care where you fall, where you have been. I’ll never forsake you, My love never ends. Peacemaking isn’t easy. Often its hard. It means forgiving, extending grace to each other. Letting things go when we’d rather not. Deliberately and intentionally, no strings attached. Peacemaking done properly will cost us, pride at the very least. It leaves no room for retaliation, no space for self-pity. Peacemaking calls us to radical other-centered-ness. It’ll mean holding our tongues, and taking the initiative in reconciliation. Like I said, its hard. It leaves the onus on us… to defend the rights of others without any consideration for our own. Peacemaking calls us to be wise, to know our blind-spots and weak points, aware of the moments when we’re tempted to all too easily react with less grace than we should. Feeling hard done by? Ever been misunderstood? Ever felt at the wrong end of an injustice? You’re not the first. Jesus was misunderstood. Hideously. There’s no better definition of injustice. He’d done nothing wrong. At the cross, the great Peacemaker gave up his life. Willingly. For you. For me. For us. That we might have peace with God and be saved from our sins. Jesus went before us and now beckons us to follow. Where can you be a peacemaker today? Where might you be tempted to defend yourself? Who are you likely to need to be patient with today? Pray for them! Ask God to bless them. Being a peacemaker isn’t just about being a doormat, there’s a reward. Its huge, a wonderful promise, don’t miss it! As we adopt the spirit of a peacemaker, as we follow in the footprints of our Saviour we enjoy walking as children of God. Could there be anything more rewarding…?